A stylish hotel located in the heart of Hirafu Village. An ideal choice for guests who want to spend their holidays in a cosy and convenient setting without an expensive price tag. M Hotel sits on the doorstep of some of Niseko's finest restaurants and is just a short away walk away from the Ace Family ski lift. 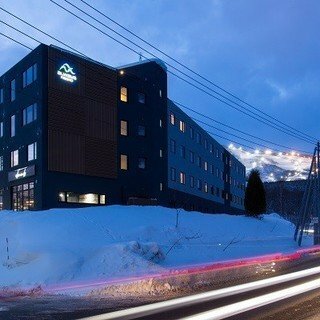 At the M Hotel you can start your day with a hearty breakfast from the on-site restaurant, once ready for the slopes either take a short walk down to the Ace Family chairlift or catch the free village shuttle bus from just across the road to the higher lifts in Hirafu. Spend your day chasing powder, racing down groomer or achieving your first turns on the green runs, and return exhilarated. Maybe stop by Tamashii for a few aprés drinks by the outdoor fire pit. If staying in a suite room you can relax in your cosy living area before heading out in the evening. In a truly central location. your choice of restaurant seems endless from the moment you step out the front door. Stay close to home and try authentic Inidan cuisine, all you can eat BBQ or exquisite seafood, alternatively stroll up the road for even more options. "Can't beat the convenience of the location. Rooms are small but well equipped and comfortable. Secured storage provided for snow equipment and clothing. Breakfast, which is included as part of your stay, is so delicious. Eggs, pancakes and waffles made to order! I will definitely be back." 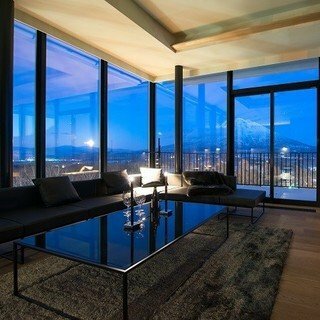 "Great stay at M Hotel over Dec 17/Jan 18 for ski holiday. The location is really good - easy 5 min walk to the lift in the morning. Breakfast is great - nothing extravagant but all the elements you need to set you up for the day, and well prepared. Staff are BRILLIANT - the manager and his team are so helpful and go the extra mile to be of assistance, and are always really friendly. If you're after 5* amenities it's not for you - if you're after good value for money with all the essentials done very well, and a clean cosy space for your stay, this is a great choice. We've stayed with the M Hotel for a number of years and will continue to go back!" 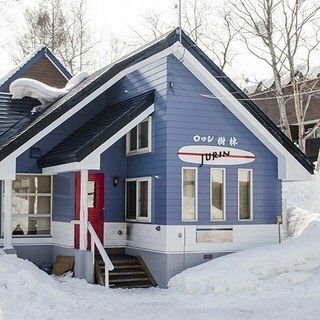 "My husband and I stayed here for our very first ski trip to Hokkaido and were pleasantly surprised at how good this hotel was. It's location is great - just next to the bus stop to get to the ski resort. The room was clean and spacious and cozy. It helped that the breakfast was good every day to fuel us for a whole day of skiing! The staff were very helpful and cheerful, even though I was a tad grumpy cos I fell sick midway. Would definitely recommend this place to anyone!" "The M Niseko is right in the heart of town. The accommodation is first rate and the staff the very best. They are knowledgeable and smiling and keen to please. You can store your skis just off the lobby. Breakfast is excellent as well. The hotel's Japanese restaurant just a short walk away is very good. Lots and lots of other restaurants just a few meters away. The shuttle to the skiing nearby as well. The Seicomart supermarket also very close. I’ll be back."